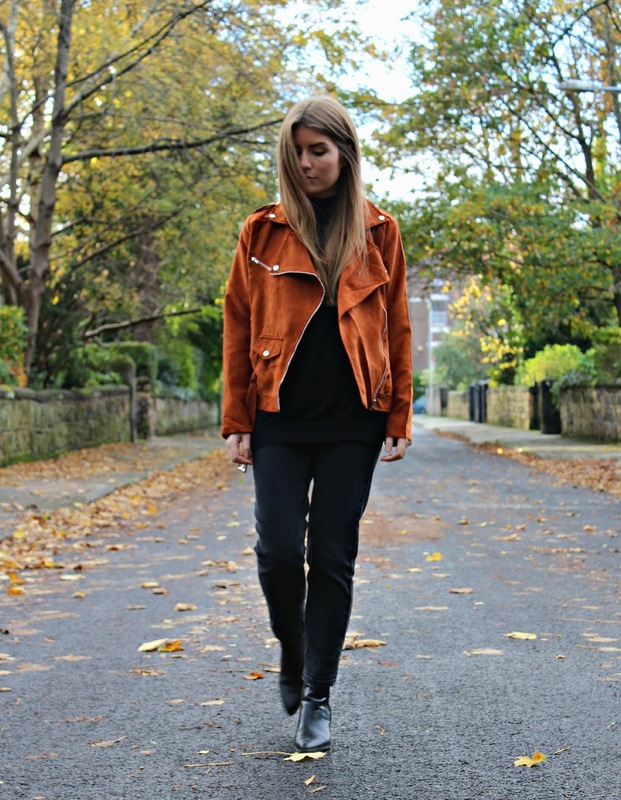 The suede biker jacket is probably one of the easiest pieces to wear this season; you can throw it on over a dress or jeans and a jumper and it instantly adds a stylish element to your look - plus, it puts a different spin on the ubiquitous leather biker. This jacket is faux suede but it's still incredibly soft, and at only £20 it's an absolute bargain. Thanks lovely - such a good price too!